Kennedy Bridge | Flickr - Photo Sharing! 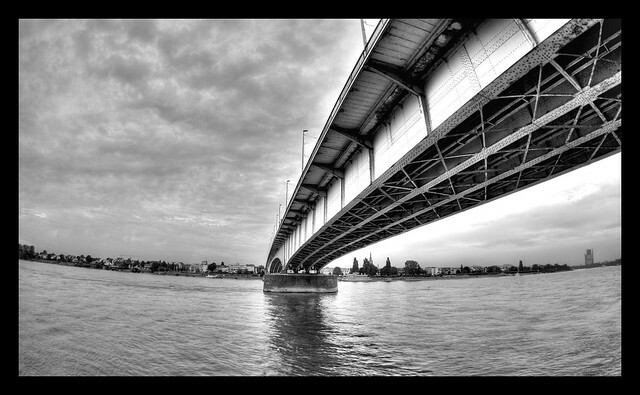 Kennedy Bridge over the river Rhine in Bonn. September 2006.
dariuszka, Amanda Maes, dwarfland, and 36 other people added this photo to their favorites. Awesome DOF. This is a fantastic BW. great angle - fantastic !! agree, great perspective. Nice use of B&W and HDR together. Great perspective, framing and b/w. Fantastic photo. Looks great in b+W , great perspective. Great pic. You should share it's EXIF data! Great! i like the perspective!